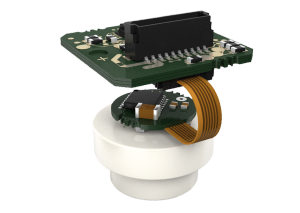 The CDS550D O-ring sealable ceramic capacitance diaphragm sensor is designed for integration into the limited space in your vacuum instruments and systems. The miniature T-shaped sensor provides a sealing surface for elastomer or metal O-ring sealing and a section opposite to the sealing surface for applying the sealing force. The alumina coated sensor is well-suited for highly corrosive environments. The electronics provide a digital SPI interface for easy integration and secure communication. The sensor features a fast data cycle time for instant response to pressure changes, outstanding long-term stability and excellent repeatability for custom calibration purposes.